HOUSATONIC—The stock market crashed. A rash of bank foreclosures drove families from their homes. Congress pumped a huge sum of money into economic stimulus. It was in this environment that Woody Guthrie recorded and performed his best-known songs. Contemporary parallels aside, Arlo Guthrie is out to prove his famous father is more than a dusty stop on a tour through music history. And he's bringing the whole family along to make the point. "Most young people that have heard of Woody Guthrie heard about him as 'the guy Bob Dylan likes' or something like that," Arlo says in a telephone interview, "but they may not have actually been familiar with the songs themselves." A few years ago, Arlo set out to change that. 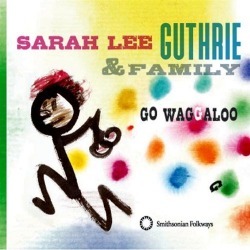 He helmed a “Guthrie Family Legacy” tour focused on Woody’s best-loved tunes, with son Abe, daughter Sarah Lee, and the latter’s husband and songwriting partner Johnny Irion in tow. Tonight through Sunday, Arlo presides over the warm-up weekend for “Guthrie Family Rides Again,” a national tour focused on the “new” Woody Guthrie songs—previously unpublished lyrics, unearthed by the Woody Guthrie Archives and set to music by a wide range of contemporary songwriters. All three shows, at the Guthrie Center, are sold out. In addition to Arlo, Abe, Sarah Lee and Johnny Irion, the tour will have Arlo’s daughters Cathy and Annie—plus everybody’s children—along for the ride. “We’re all genetically linked to [Woody’s legacy], and so it’s going to be a really fun DNA festival,” Sarah Lee says in a telephone interview from a studio in Sacramento. Woody had a surprising comeback in recent years. The newly found lyrics underlined the reality that Guthrie’s legacy is more nuanced than that of the strident icon known for his Depression-era political activism and balladeering, someone who gave voice to “dust bowl refugees” driven from their homes and workers struggling to organize in the face of state violence. Taken in tandem with the classics of Woody’s oeuvre—songs like “So Long, It’s Been Good To Know Ya,” “Pastures of Plenty” and of course “This Land Is Your Land”—they fill out the picture of a man long since ossified into the status of legend. Heir to this tradition, Arlo has crafted his own oddly shaped career, recording a mix of sometimes offbeat original tunes and well-chosen covers, plus a live approach that sometimes undercuts the poignancy of his songwriting with the overflowing joviality of his personality. Speaking a week before the first show of the Woody-themed tour, Arlo says the repertoire is still very much up in the air. "We'll try out as many of these songs as we will have memorized by then and then we have a few days after that to tighten 'em up. We'll see how they go! You don't really know," he forecasts, his voice sweetened by his trademark twang as it escalates in volume. Though he thinks it’s a “distilled” version of his father that many people encounter today, Arlo says he’s pleased to see a new wave of musicians taking inspiration from the lost Woody Guthrie lyrics. He draws a parallel to the relationship a previous generation of British artists, including Mick Jagger and Keith Richards, had with influential American musicians. Arlo has long since ditched major labels in order to release his own work, and whether he’s performing with an orchestra (see the excellent 2007 live release “In Times Like These”) or trailing off in mid-song to a shaggy dog tale, he has kept his own voice intact. It’s a voice as much enriched by his own observations of the American scene as by his masterful touch for interpretation.